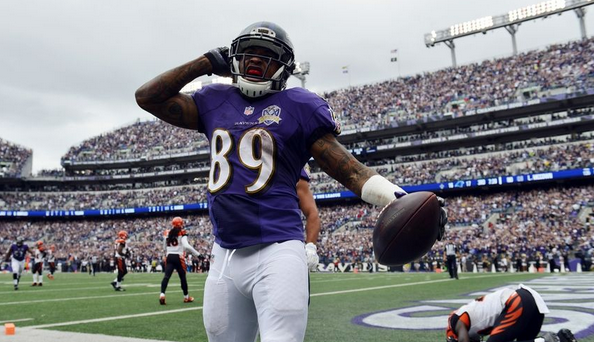 Baltimore Ravens wide receiver Steve Smith has been ruled out for next Sunday’s game against the against the Cleveland Browns, according to ESPN.com. Smith has “some small micro fractures in his back,” according to Harbaugh. There is hope that Smith will play after the Browns game, Harbaugh said. “I think he’s going to be OK in the long run,” said Harbaugh, who was interviewed at the Michigan-Maryland game where his brother Jim was coaching. Smith was injured late in the third quarter on Thursday night, when he was speared in the back by Steelers linebacker Lawrence Timmons.